Look who loves our services! 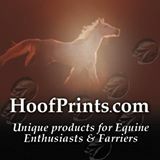 Here at HoofPrints, we use an outside Call Center (CallCenterPlus.com) to answer our phones when we are out of the office. 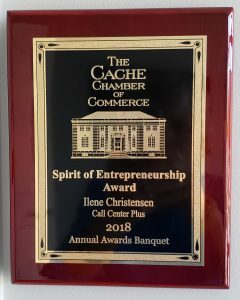 This has proven to be much better than an answering machine as the call center staff can take orders, relay messages and answer questions for callers after hours. Often, though, the calls they get are from folks who’ve come home at the end of a day to the unhappy situation of a damaged package or incorrect shipment – and they need to talk to someone about rectifying the problem. Call Center Plus is a fairly large company, and the owner has told me on more than one occasion that OUR CUSTOMERS (that’s you all) are BY FAR the best to deal with of any of the companies they answer phones for. Bar none. We already knew that – but it’s nice to be reminded – and I wanted to pass along the compliment. Thanks for being great customers! Call Center Plus has been taking orders for Outsidepride for more than 11 years. They offer over 1,000 flower, herb, and ground cover seeds! We are familiar with their products and love to serve their clients. Our programming links seamlessly to their website where we take their online orders. The orders are processed in real time making Call Center Plus an invaluable asset to Outsidepride. We answer for companies that resell our services. That means they don’t actually answer the phones, we do. When describing our service to a new potential client, he said, “I told him that you were the best boutique style answering service and the most accomplished programmers in our ‘organization’.” Give Call Center Plus a try. We can provide the same type of service for you. Why choose OmniMount? We support the technology that brings your home to life and we’ve been doing it for over 30 years, so you can have confidence that our mount and furniture solutions are expertly designed and built to last. Support the technology you love with a brand you trust. Call Center Plus has provided customer support for OmniMount for years. Chances are if you have purchased a wall mount for a TV you may have considered OmniMount. 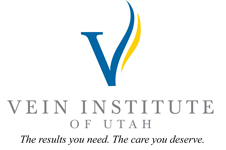 When Vein Institute of Utah needed an answering service to meet their needs, they chose Call Center Plus. We handle their patient calls with the care that each of them deserves. If there is an emergency we follow the protocol they setup. Their patient information is secure with us. Try Call Center Plus for your secure messaging needs. You will be glad you did.